A good day starts with a good night’s sleep, and this is where our extensive experience and market-leading adjustable beds can help. If you struggle getting in and out of bed or often have an uncomfortable night’s sleep, then an adjustable bed could be the solution you’re looking for. Our range of adjustable frames can be raised or lowered to ensure you’re getting the best sleep possible. 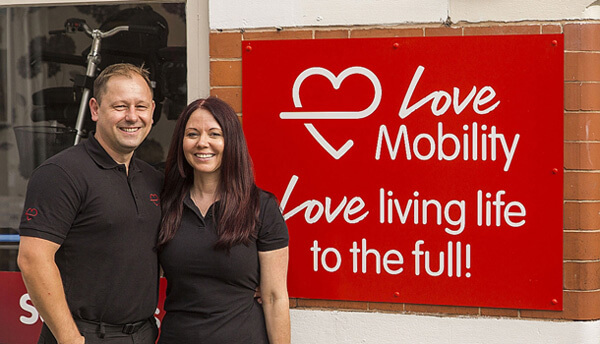 At Love Mobility we’re passionate about supplying the highest quality electric orthopaedic beds which can be bespoke built to meet your individual needs. 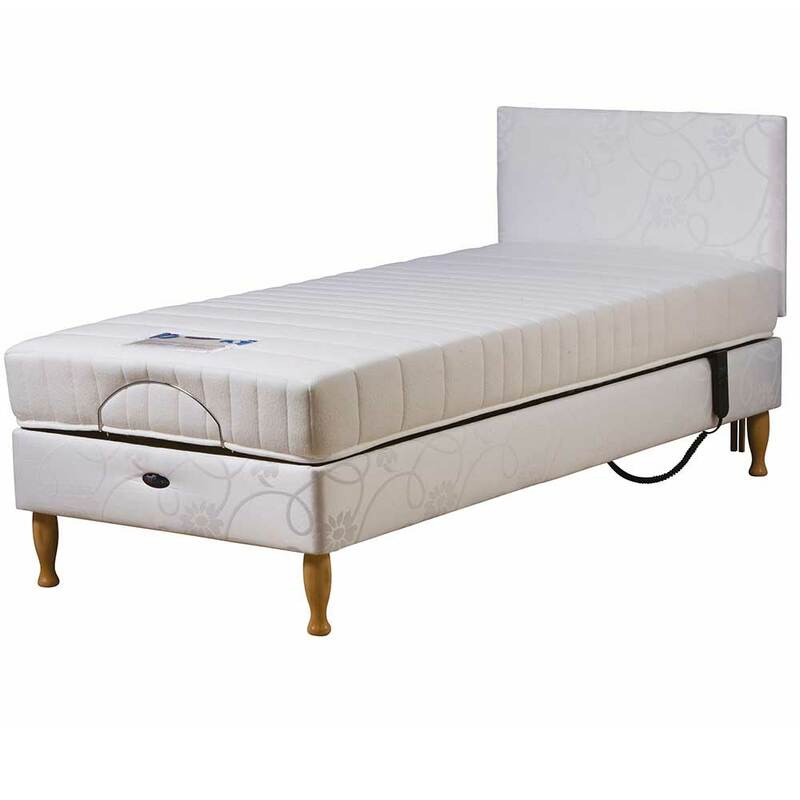 This ensures you get a quality bed, amazing support and the best night’s sleep at a truly great price. Our adjustable beds bring you the ultimate comfort and convenience of sitting up or positioning your body in a comfortable way. They are perfect for those with mobility issues, pain concerns or medical conditions that require them to stay in bed for long periods of time. At Love Mobility we offer a variety of features, upgrades and extras to give you the ultimate convenience and comfort in your bed. Book our FREE Home Assessments now and you’ll ensure that you get the right bed for your needs. The Devon is British made and features a strong and durable bed frame which incorporate 42 flexible slats. These contour and adjust according to pressure, supporting you and providing greater comfort. With its totally padded surround the Windsor offers the perfect divan style option. The versatile design allows for the optional fitting of either one or two drawers in the end or side sections, depending on the width of the bed. This provides valuable additional storage space. The Richmond adjustable bed is designed for less mobile customers. 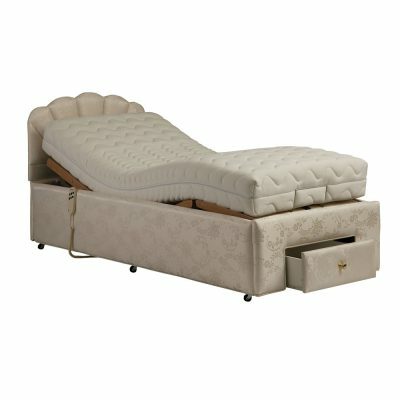 This highly popular bed combines luxury and supreme comfort with practicality. Its double arch design permits easy hoist and over-bed table access. The five fold adjustable base is innovative in design and adjusts to support the five key areas; knees, hips, back, neck and head. 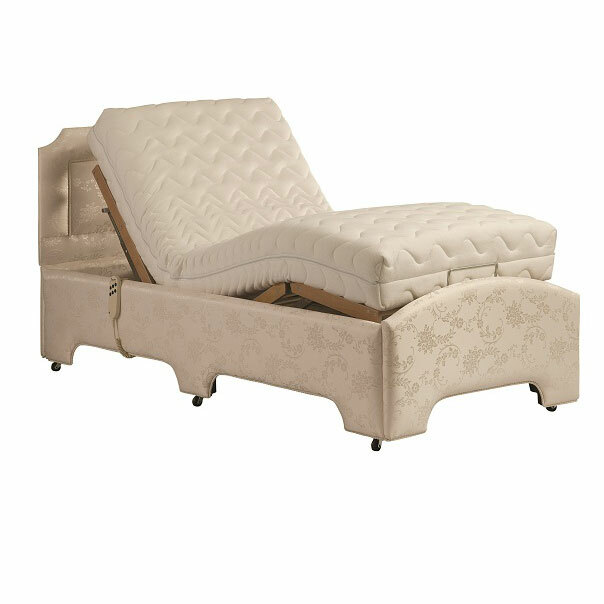 This best-selling Casa Med Classic bed is beautifully finished with enclosed motors and a curved wooden head and foot board. 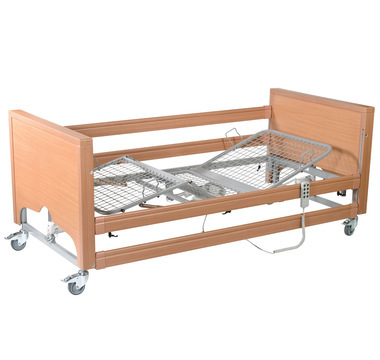 The bed is adjustable in height between 40cm – 80cm (16″ – 31″), enabling carers / nurses to care for users successfully, without bending and causing back injuries.The Casa Med Classic FS features attractive wooden head end, foot board and ful length side rails. It is available with a Metal Mesh Platform or Wooden Slat Platform.